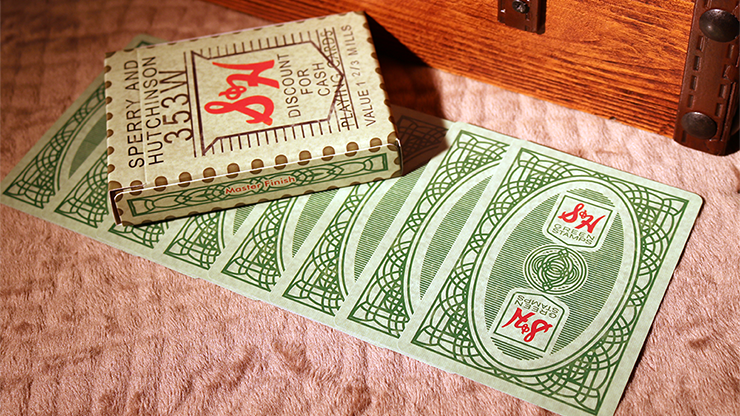 The S&H Green Stamps Playing Cards is a fantastic blast from the past! Remember going to the grocery store or gas station and collecting these subtly beautiful stamps with each purchase? Remember the money they'd save you? 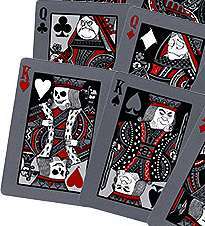 It's time to glorify these little stamps in playing card form. 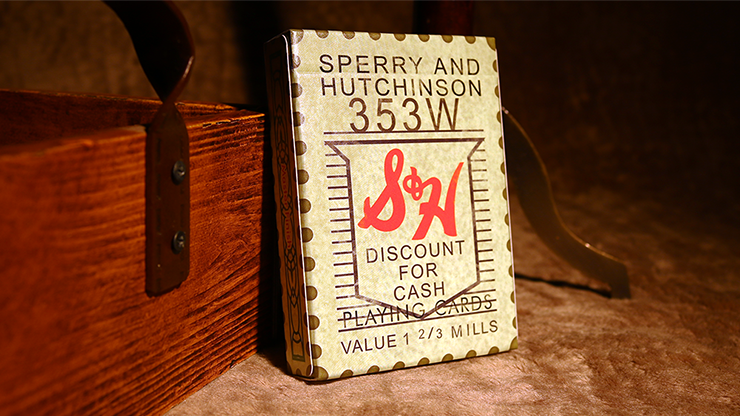 Introducing the S&H Green Stamps Playing Cards! 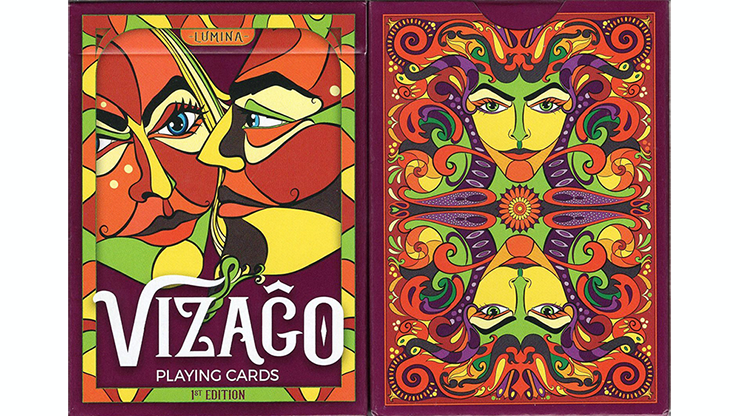 The fan of the back card is an exact replica of the green stamp version. It is a very intricate design with very nice complimentary colors. Top, bottoms, fronts, and backs. 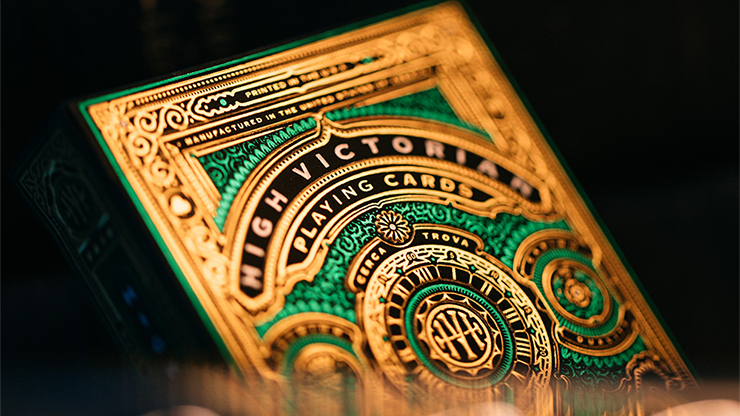 We designed this deck so that you can connect numerous decks together in order to form a booklet. It makes for a stunning display. 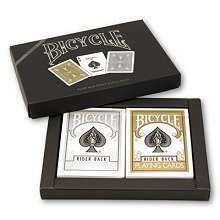 Enjoy bringing this memory back to life, as well as the reactions you'll receive from others!